1. Chest Drape, 100 in. x 72 in. x 124 in. 2. 13 in. x 14 in. fenestration. 3. CONTROL* Plus Fabric Reinforcement. For the full range of general procedures, we've got you covered. 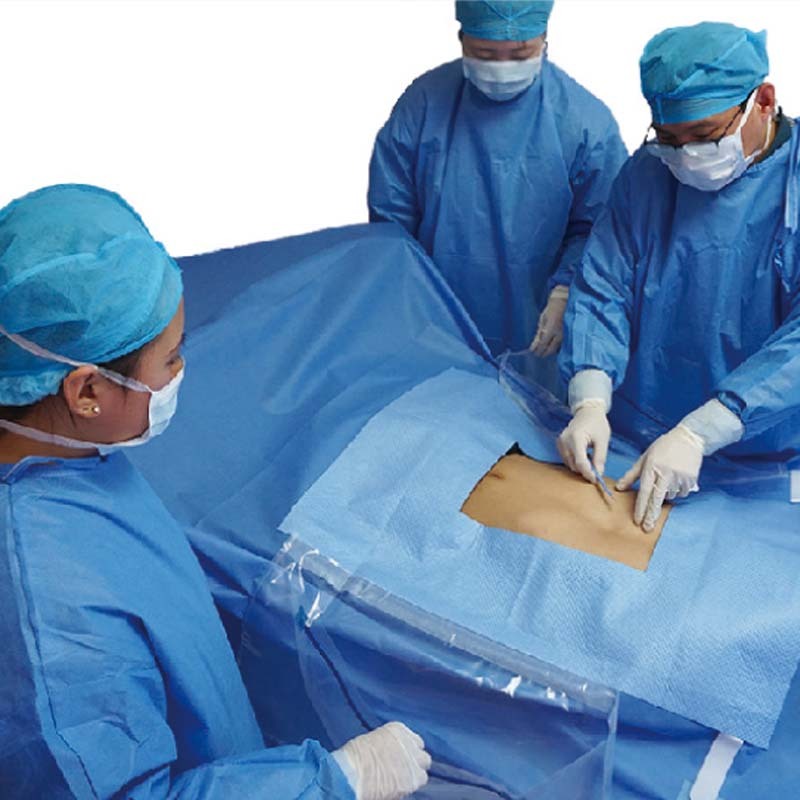 From laparotomy and endoscopic drapes to breast, chest and thyroid drapes, MedPurest has adaptable systems that offer maximum flexibility for surgical procedures. 1.Maximum rating for flame resistance for use around lasers and other electrical instruments. 2.Fabric that's resistant to tearing, strikethrough and abrasion, while providing secure attachment for line and tubes. 3.Resistance to strikethrough from alcohol and other prep solutions. 4.Lower lint than other drapes to reduce the risk of airborne bacterial transmission. 5.A choice of fabric reinforcements designed either to reduce instrument slippage or control fluid run-off. 6.Convenient tube and line management systems, including troughs and hook & loops.